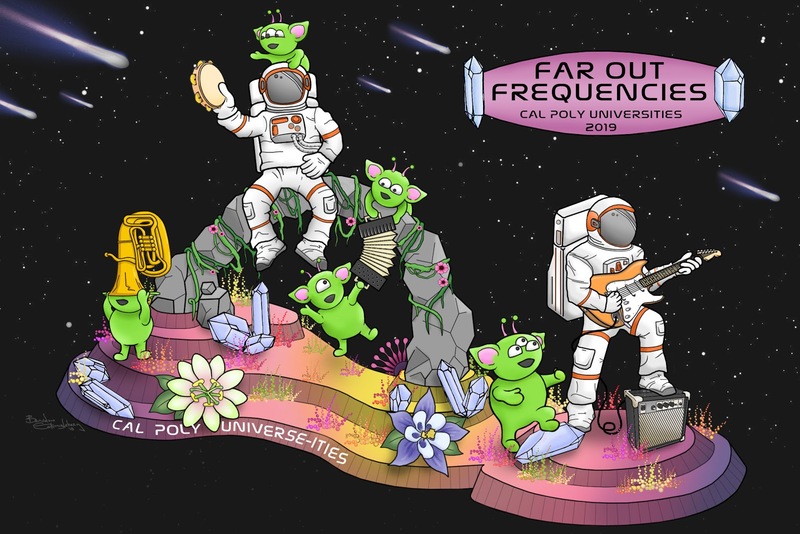 Rose Float announced the 2019 Cal Poly Universities’ Rose Float entry, “Far Out Frequencies,” featuring a pair of astronauts and a handful of alien friends on another planet communicating through music. The design was the top choice, from 150 submitted entries, of the Rose Float team and their counterparts in Pomona at California State Polytechnic University. “Far Out Frequencies” celebrates the 130th Tournament of Roses Parade theme, “The Melody of Life,” and music as a universal language. On the float, astronauts Morgan and Sally travel deep into outer space and land on a distant alien planet. Unable to communicate through language, they use musical instruments to share their message of goodwill with the aliens they encounter, leading to out-of-this-world fun and some unexpected good times. “Throughout the years, our campuses have united to design, construct and decorate to achieve a common goal: our float,” said Sara Novell, president of Cal Poly SLO Rose Float. “This idea of unity is also shown in our float, in how the astronauts and aliens join together to create a common language. We want to express the ‘Melody of Life’ by showing the power that music has in its ability to join communities of different backgrounds to create one harmonious universe.” The Cal Poly Rose Float, the only student-built entry in the parade, has been invited to participate for 71 consecutive years. Since 1949, students from the two campuses have come together across 240 miles to produce one of only a handful of self-built floral floats for the Tournament of Roses Parade in Pasadena on New Year's Day. A symbol of this partnership is the float’s frame, whose front and back halves are joined mid-October each year in Pomona to officially unite both the float and the teams. Read more here. A project to preserve the former site of a Native American village near Diablo Canyon Power Plant by an archaeology professor and his students, Pacific Gas and Electric, and the yak tityu tityu yak tiłhini — Northern Chumash Tribe will receive a 2018 Governor’s Historic Preservation Award in November. 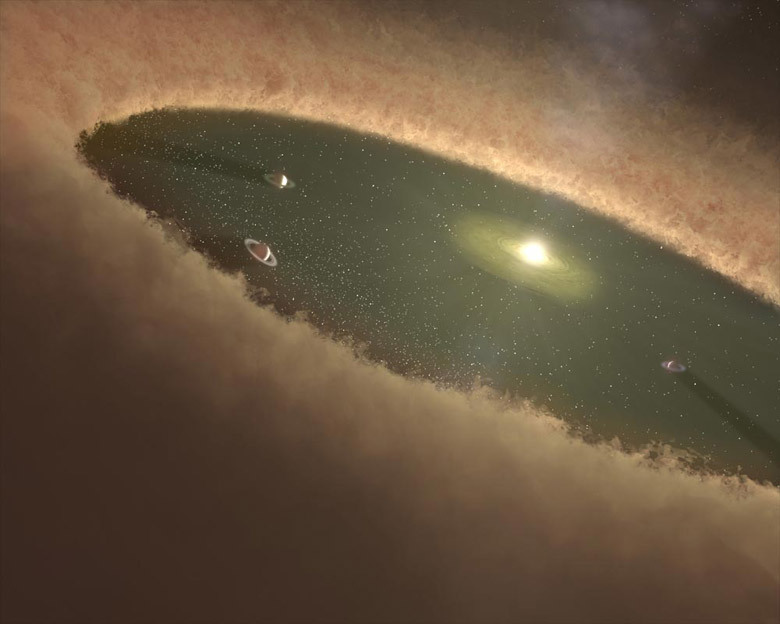 “We worked very hard on the materials from that particular site — both in the field and in laboratory analysis,” said Terry Jones, an archeologist and chair of the Social Sciences Department. The annual awards recognize individuals, organizations, companies and public agencies whose contributions demonstrate notable achievements in preserving the heritage of California. Since 2009, PG&E has hosted a Cal Poly archaeological field class on the lands near the power plant in collaboration with the Northern Chumash Tribe. The field class focused on Native-affiliated sites with middens, old refuse heaps of domestic waste that have been affected by coastal erosion, public trail access and historic land uses. In 2015, the class was held near Pecho Creek, a multi-component site listed on the National Register of Historic Places as a contributing element to the 10,300-acre Rancho Canada de los Osos y Pecho y Islay archaeological district. 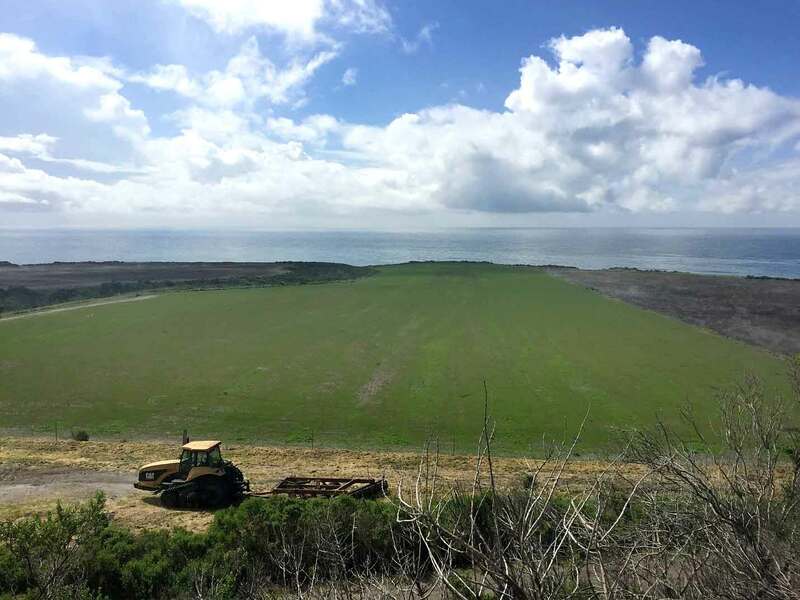 The restoration area (pictured replanted with natural grasses) corresponds to the former Northern Chumash village site of tstyɨwɨ, and later the site of a Rancho Period adobe — which represents “a microcosm of California history,” according to an overview of the project. Learn more here. The campus community is invited to two separate events Oct. 1-2 with Damon A. Williams, a visionary and inspirational leader and one of the nation’s recognized experts in strategic diversity leadership, youth development, corporate responsibility, educational achievement, social impact and organizational change. Williams is also one of the founding architects of the “Inclusive Excellence Model,” a framework that helps institutions fully integrate their diversity, equity and educational quality efforts and embed them into the core of academic mission and institutional operations. 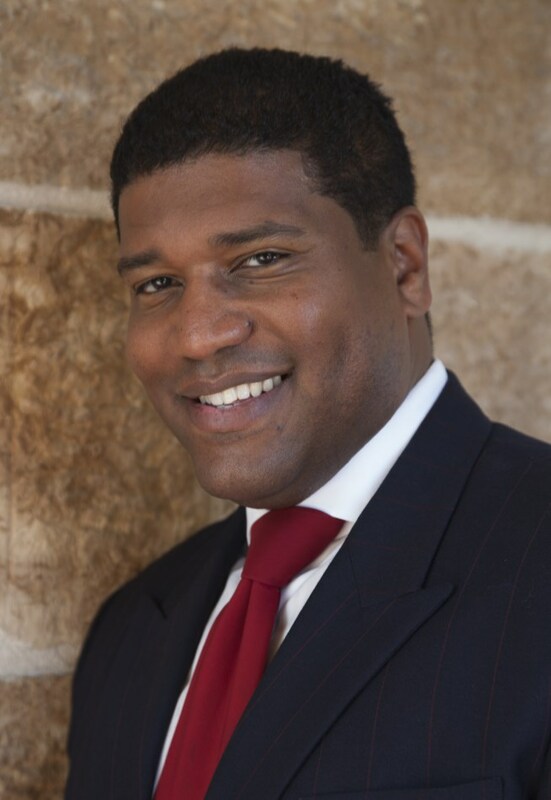 Williams authored the best-selling book “Strategic Diversity Leadership: Activating Change and Transformation in Higher Education” and co-authored the first book ever written on the chief diversity officer role. He earned a Ph.D. from the University of Michigan Center for the Study of Higher and Post-Secondary Education, where he specialized in the area of organizational behavior and management. The campus community is invited to attend a keynote talk from 5 to 6:30 p.m. Monday, Oct. 1, in Spanos Theatre (No. 44). Williams will hold an open session with faculty, staff and students from 1:30 to 3 p.m. Tuesday, Oct. 2 in the University Union, Room 220. Learn more about Williams at https://drdamonawilliams.com/. The Office of the Vice President for Student Affairs extends a heartfelt thank you to the nearly 1,200 campus and community volunteers at Mustang Move-In last weekend. Your efforts made a big difference in welcoming and helping approximately 5,300 students move into their campus residence halls and apartments. The office would also like to recognize Karl Welz and Richel Galila from University Housing for leading this effort, and Cassie Pitkin from Student Academic Services for her stellar recruitment efforts. Thanks volunteers! Two professors and Unanimous AI are presenting a new study showing that business teams, when connected by AI algorithms and operating as an internet-linked “swarm,” functioned with significantly higher social intelligence than individuals working alone. Entrepreneurship Professor Lynn Metcalf and communication studies Professor David Askay spent the summer on the cutting edge of artificial intelligence technology. In collaboration with AI pioneer Unanimous AI, a Silicon Valley-based technology firm that amplifies the intelligence of groups through special AI algorithms, they recently published research examining the effectiveness of business teams functioning as a “hive mind.” This innovative Swarm AI technology allowed teams, connected over the internet, to combine their individual insights in real-time to accomplish tasks and make decisions. Their study asked 60 small teams to take a standard social intelligence test known as “Reading the Mind in the Eyes” (RME). Prior studies have proved the RME test as a strong predictor of team effectiveness and overall collective intelligence. As individuals, participants averaged 68 percent accuracy on the test, but when working together as an AI-powered “hive mind,” the teams averaged 85 percent accuracy — a significant improvement. “This is an exciting result,” Metcalf said. “It suggests that business teams can be significantly more effective at making group decisions if they work together, connected by Swarm AI algorithms.” Read more here. 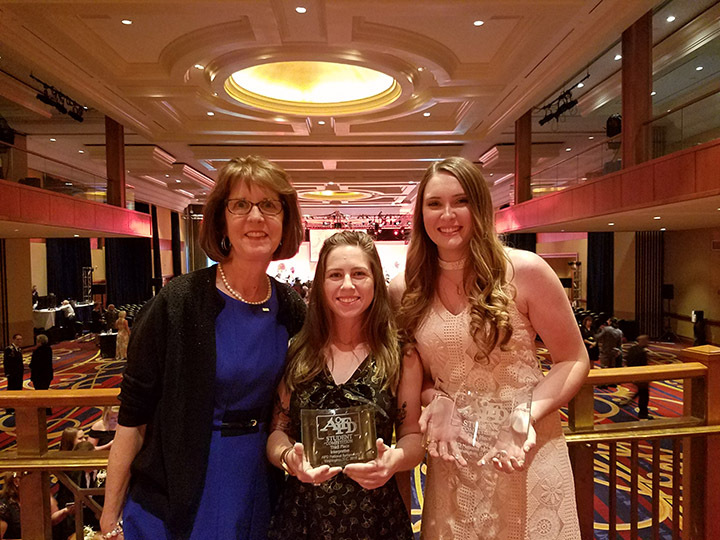 The Cal Poly Floral Design Team ranked third in the nation at the American Institute of Floral Designer's (AIFD) 2018 Student Floral Design Competition in Washington, D.C. Alyssa Snow, a junior majoring in agricultural science from Galt, California, placed first in the wedding bouquet category and fourth place in the fashion flower category. She placed third overall in the competition. Allana Childs, who graduated in June with a degree in agricultural and environmental sciences, took third in the interpretive design category and eighth place for her wedding bouquet. During the awards ceremony, Snow was also awarded a scholarship for her school fees for the 2018-19 school year from the AIFD Foundation Scholarship Committee. Cal Poly competed against teams from nine other colleges, including the University of Missouri Columbia, Texas A&M, Mississippi State and Ohio State. Students prepared floral displays for four separate categories: sympathy (a design suitable for a man who was a gardener by trade); wedding; interpretive design; and fashion flowers (a cuff design suitable for a runway fashion show to model). The team was led by Cal Poly Lecturer Melinda Lynch. Read more here. The annual Health and Wellness Fair will be held from 10 a.m. to 1 p.m. today, Wednesday, Sept. 26, in Chumash Auditorium. Over 30 vendors are expected to attend, including representatives from health, dental and vision plans, voluntary plans, LifeMatters employee assistance program, on-campus resources, and local wellness providers. Open Enrollment is the time to make changes to your health and dental plans, to enroll in or cancel the VSP Premier vision plan and the MetLaw legal plan. It is also the time to enroll in the Health Care Reimbursement Account (HCRA) and Dependent Care Reimbursement Account (DCRA) savings plans for 2019. Participants must re-enroll in HCRA/DCRA each year. Open enrollment continues through Oct. 5, with changes effective Jan. 1, 2019. Attend a Lunch and Learn event hosted by HR to learn more about your benefits and upcoming changes. For detailed information and a schedule of events, visit https://afd.calpoly.edu/hr/benefits/. 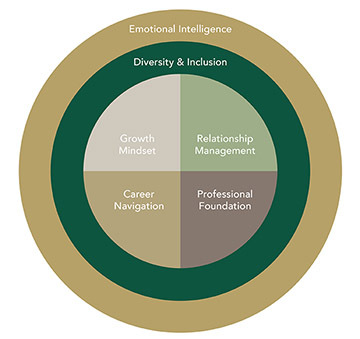 In collaboration with the Career Services Advisory Council and campus stakeholders, Career Services has launched the Career and Life Success Model to guide students in developing the competencies they need to be successful in jobs, graduate school, and other opportunities after Cal Poly. The model organizes professional competencies into four core themes while the critically important meta-themes, emotional intelligence and diversity and inclusion, are woven throughout. Career Services recognizes that preparing students for life after Cal Poly is the responsibility of our entire campus community, and this model strives to provide faculty and staff with the language and resources they need to support students in developing critical career readiness competencies. Consider infusing the resources from the model when you talk with students about their future plans. You can also connect with your college specialist career counselor to discuss strategies for integrating career development and this model into your curriculum and programming. Human Resources will be offer upcoming training sessions on the university’s recruitment process. The Talent Acquisition — Recruitment Process Training provides step-by-step guidance through the revised recruitment process and is required for all individuals serving on a staff or management hiring committee. Come learn and explore new resources, forms and processes as they pertain to recruitment. Some of the course content includes: recruitment data plan, revised HR101 and HR101B forms, application scoring rubric, interview guide, compensation and updated outreach guidelines. 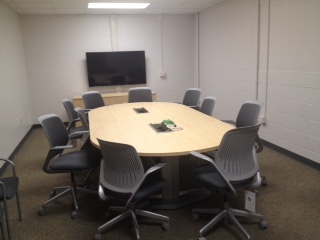 The trainings will be offered weekly through Nov. 8 and bi-weekly thereafter through the end of the quarter. Sign up at https://goo.gl/CRCd9y. The alliance of faculty from all colleges and disciplines is a key factor in the growth of the entrepreneurial culture at Cal Poly. The Center for Innovation and Entrepreneurship (CIE) Faculty Fellows program serves as the catalyst. 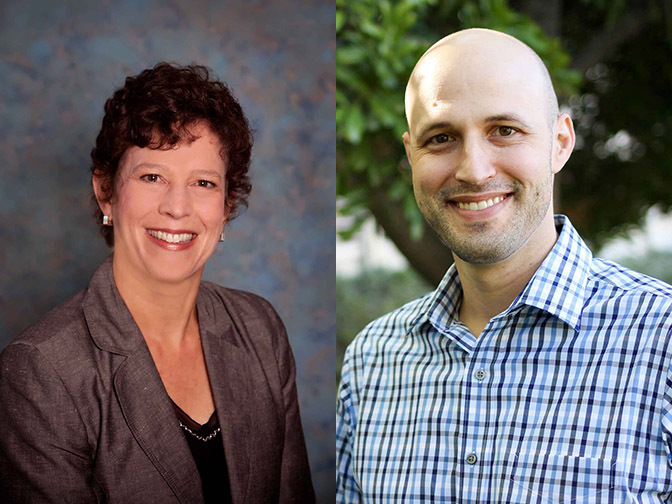 Within each of Cal Poly’s six colleges, the CIE Faculty Fellows incorporate innovation and entrepreneurship into their coursework, serve as CIE ambassadors within the college they represent, and help guide students through various entrepreneurial career paths. See who’s in the community of the CIE Faculty Fellows. 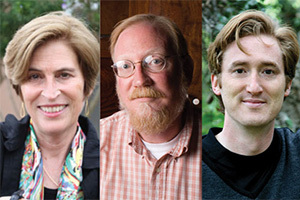 To learn more about the CIE Faculty Fellows program, contact Lynn Metcalf at lmetcalf@calpoly.edu. Applications close at 11:59 p.m. on Thursday, Sept. 27. Tech checkout has moved from its location in the Cotchett Education Building (No. 2) to the Natatorium (No. 46) with the ITS Service Desk. 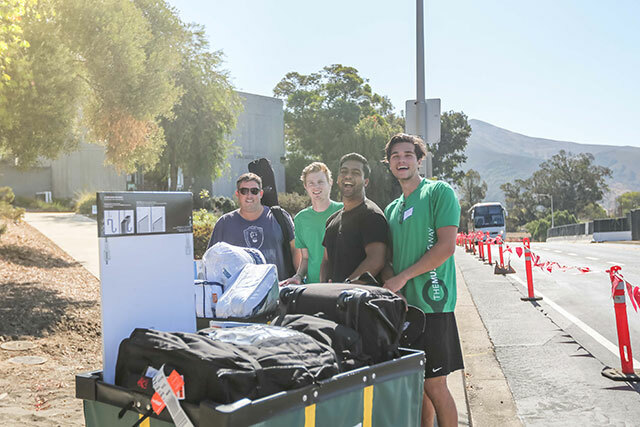 You can rent equipment including computers and projectors at the tech checkout counter Monday through Friday from 10 a.m. to 4 p.m. For more information or to reserve equipment online, visit https://techrentals.calpoly.edu/. The Faculty Staff Associations welcome all new and continuing faculty and staff to the 2018-19 academic year. Faculty Staff Associations (FSAs) are social and community-building groups for faculty, staff and, in some cases, graduate students. The FSAs host a variety of events, programs and initiatives including socials, social justice efforts, mentorships with students, educational opportunities and more. For more information about the FSAs and upcoming events, visit the All Faculty Staff Association website. Creating Accessible Course Materials, Oct. 8 through Nov. 5. Join your faculty peers in this online, four-week workshop to create accessible course materials. 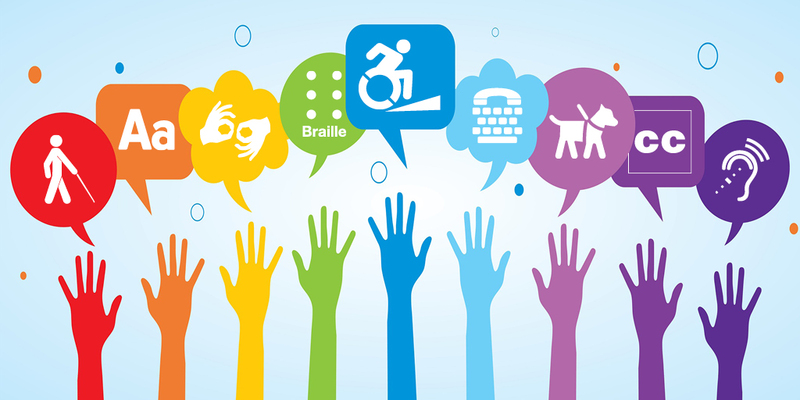 This workshop covers principles of universal design, use of PolyLearn tools, accessible document design, video captioning and a culminating activity to create an Accessibility Action Plan. A $300 stipend is available for those eligible. Expect to spend 28-40 hours total over four weeks. Enrollment is limited. Learn more and register here. Accessibility Workshops. Attend an accessibility workshop on your own time, at your own pace, in your own space. The CTLT offers three online, self-paced workshops to help faculty create accessible instructional materials. A $100 stipend per workshop is available for those eligible. Expect to spend seven to 10 hours total per workshop. Choose from one of the following workshops for fall quarter. Enrollment is limited. Accessible Document Design Workshops, customized for your department or program. Choose a time and place and we will come to you. This 50-minute in-person workshop provides hands-on, step-by-step guidance to help faculty create an accessible Word document and convert it to an accessible PDF. Focus on course syllabi or a document of your choice. 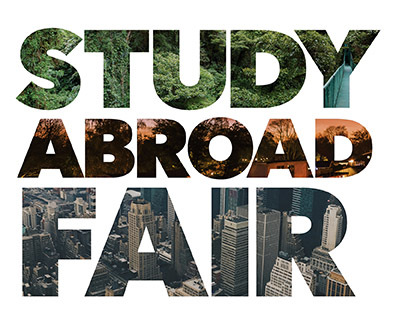 For more information, contact Pam Dougherty at padoughe@calpoly.edu. Learn more and complete a request form here. — Disability Awareness Month Booth: 11 a.m. to noon Thursday, Oct. 11, in UU Plaza. Join the DFSA for disability awareness games and activities, give-away prizes and a photo booth. — Disability Faculty Staff Association Working Social: 1 to 2 p.m. Thursday, Nov. 8, in UU 219. Socialize with members of the DFSA and provide input on future goals, activities, events and initiatives. For more information about the DFSA, visit the new Faculty Staff Association website. The DFSA welcomes anyone who would like to get connected and involved! Those interested can sign up for the mailing list to receive updates on meetings, socials, and other events and information. Employee and Organization Development is excited to announce its fall 2018 Book and Learning Circles. You are invited to participate in these enriching conversations, including Book Circle, where you read a book and discuss as a group, or a Learning Circle, where you view a video or read an article before discussing as a group. Book Circles involve reading a book over the course of three sessions. 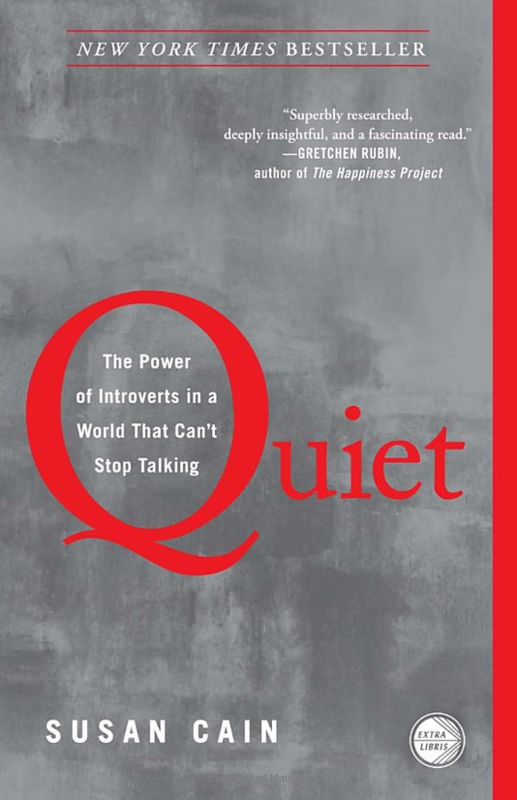 The first book is "Quiet: The Power of Introverts in a World That Can’t Stop Talking" by Susan Cain. This valuable read argues that we dramatically undervalue introverts and shows how much we lose in doing so. The second book, "Moving Diversity Forward: How to Go From Well-Meaning to Well-Doing" by Vernā Myers, explores the value of diversity, the challenges to successful diversity and inclusion efforts, and provides tools for enhancing campus practices. The third book, "Outliers: The Story of Success" by Malcolm Gladwell, explores the factors that decide the difference between successful and unsuccessful people — learn what rock stars, geniuses and computer programmers have in common and that success is not a matter of IQ, ingenuity or natural genius. Learning Circles involve watching a video or reading an article and participating in a discussion during a single session. The first learning circle is "How Not To Be Ignorant About the World," which demonstrates the high statistical chance of being quite wrong about what we know and provides four strategies for quickly becoming less ignorant. The second learning circle is "The Power of Privilege," which helps to understand what it means to talk about privilege and what can be done with the power. The third learning circle is "Choice, Happiness, and Spaghetti Sauce," in which Malcom Gladwell gets inside the food industry's pursuit of the perfect spaghetti sauce — and makes a larger argument about the nature of choice and happiness. To view a full description and register to attend, visit the Book and Learning Circles webpage at learnandgrow.calpoly.edu. Join Employee and Organization Development for an in-person workshop from noon to 1 p.m. Friday, Sept. 28, from Employee Assistance Provider (EAP) Empathia. One factor influencing our stress level is how well we manage energy. The concept of energy management is based on a new way of looking at self-discipline. It challenges the widely held view that time management and juggling tasks is the key to work/life balance. 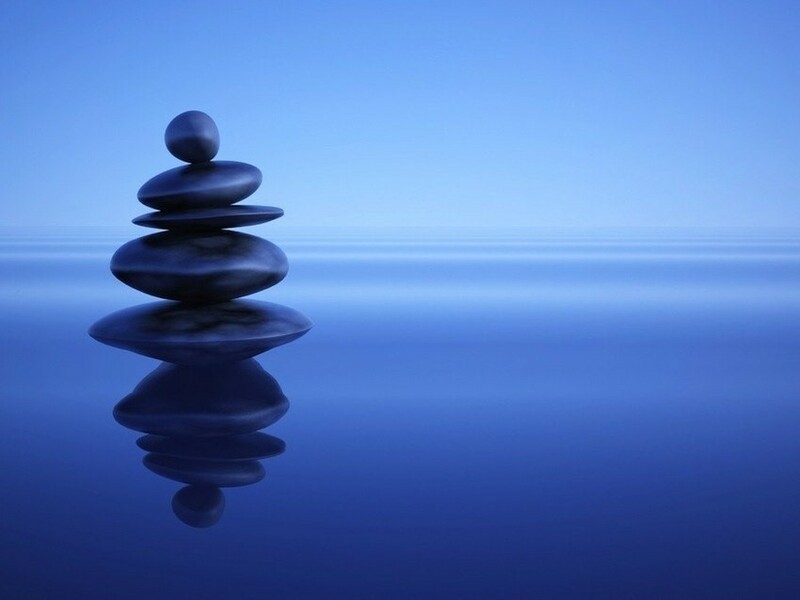 The content of this workshop includes the paradigm shift, energy management principles, the engaged versus the stressed versus the disengaged, and developing positive rituals. Register by clicking here for the workshop in the training room in the University Police Building (No. 36, Room 105). 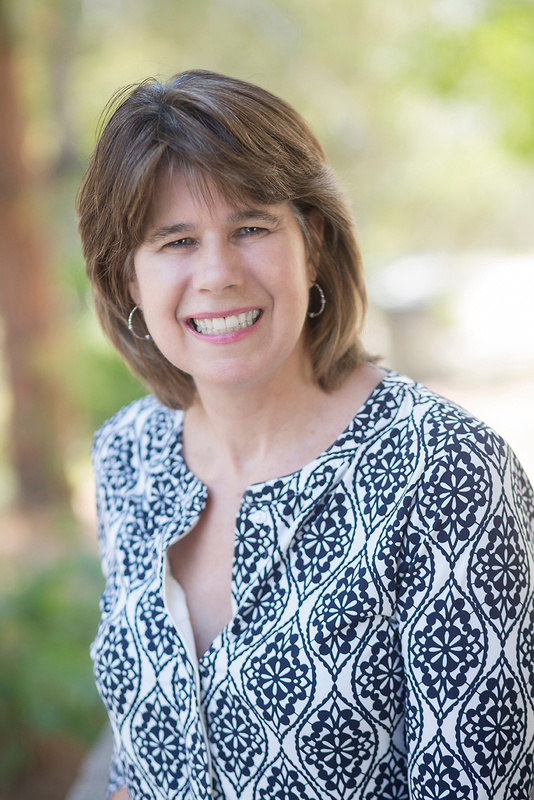 Susan Stewart, analyst/programmer for Student Academic Services (SAS), will retire in November after 35 years of service to Cal Poly. Stewart joined the Financial Aid Office in 1980 as a student assistant, moved to a staff position in July 1983, and quickly advanced to become a senior data control technician. She worked on the IBM System/36, using Z-Writer and FOCUS programming code. In 1990 Stewart moved to Student Academic Services where she flourished for the next 28 years, increasing her skills in database development. She has been instrumental in developing FileMaker databases. Stewart was honored with the Student Affairs Outstanding Employee Award in 1996 and the Chandler Award in 2009. She is one of those rare individuals who has outstanding technical aptitude, but also the capacity to deal with people with incredible empathy. After retirement, she plans to travel the globe with her husband, Steve, in addition to partaking in many volunteer opportunities. A retirement reception will be held from 2 to 4:30 p.m. Monday, Oct. 29, in the Bonderson Engineering Project Center (No. 197), Room 104. Contact Angela Marino at amarin07@calpoly.edu with questions. Off-Campus Programs continues to serve the San Luis Obispo community by celebrating and participating in the upcoming Good Neighbor Day from 10 a.m. to noon Saturday, Sept. 29. The day is an opportunity for faculty, staff, students, families and community members to celebrate each other and the beautiful location that we are lucky to call home. 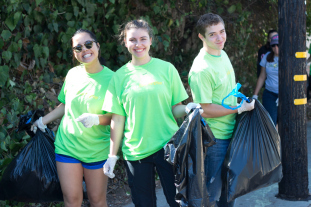 In partnership with Cal Poly ASI, the city of San Luis Obispo and the San Luis Obispo Police Department, Off-Campus Programs will lead a neighborhood cleanup filled with treats, celebration and more. Come meet your new neighbors, share stories and help keep San Luis Obispo one of the happiest cities in America. There will be two meeting locations to sign up for: Santa Rosa Park, at Santa Rosa and Oak streets; and Throop Park, 510 Cerro Romauldo. Bring walking shoes and invite your neighbor. Click here to RSVP. For more information, contact Off-Campus Programs at offcampusprograms@calpoly.edu or ext. 6-5841. The Statistics Department provides a statistical consulting service to the university community to facilitate research design and data analysis in a wide variety of disciplines. Consulting will be available through Friday, Dec. 7, by appointment only. Steve Rein will serve as the consultant. He is available to advise on data collection, experimental design and analysis of research projects. In addition, he will be available to lead seminars or tutorials on requested topics and offer advice on various computer packages available at Cal Poly. Faculty, staff and students interested in utilizing the consulting service are encouraged to access the Statistics Department website for additional information, including what to bring to a consulting session. To schedule a consultation, email statconsulting@calpoly.edu. Don’t miss the Center for Health Research’s new series on health disparities, which will kick off with its first seminar at 11:10 a.m. Thursday, Sept. 27, in the Baker Center for Science and Mathematics (No. 180), Room 114. Laura Fejerman of UC San Francisco will present “Genetic Ancestry and Breast Cancer in Women of Latin American Origin.” Fejerman is affiliated with the Division of General Internal Medicine’s Department of Medicine at UCSF. For more information, email healthresearch@calpoly.edu. The Music Department will present a faculty recital with violinist Brynn Albanese at 7:30 p.m. Saturday, Sept. 29, in Room 218 of the Davidson Music Center (No. 45). Albanese, the department’s applied violin and viola instructor, will perform an eclectic mix of solo violin works as well as duos with faculty members Ken Hustad, bass; and John Astaire, timpani. She will also perform with guest guitarist Jack Cimo. The solo works are “Passacaglia in G Minor for Unaccompanied Violin” by Heinrich Ignaz Von Biber, “Tango Etude No. 1” and “Tango Etude No. 3” by Astor Piazzolla, a movement from “Sonata for Solo Violin,” Op. 115, by Sergei Prokofiev and a movement from “Sonata in G Minor” by J.S. Bach. For the duo performances, Hustad and Albanese will perform the first movement of Edgar Meyer’s Concert Duo for Bass and Violin; Astaire and Albanese will perform David Avshalomov’s “Diversion, Violin and Timpani” (“Terwilliger”). 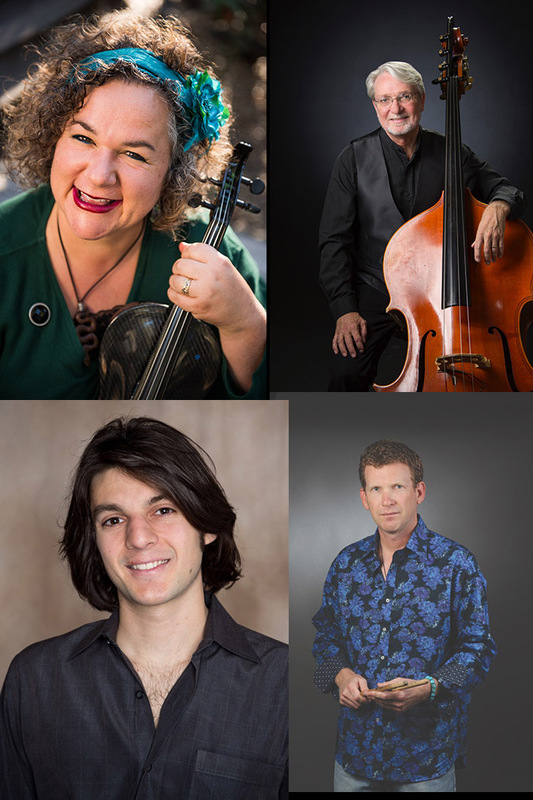 Cimo and Albanese will close the program with “Café 1930” from Piazzolla’s “Histoire du Tango.” Admission is $5 at the door. Parking is free in the Grand Avenue parking structure. For more information, visit the Music Department calendar website or call ext. 6-2406. The campus community is invited to learn and explore the land and the language of the yak titʸu titʸu yak tiłhini Northern Chumash Tribe within a new exhibit on display at Kennedy Library through Oct. 19. 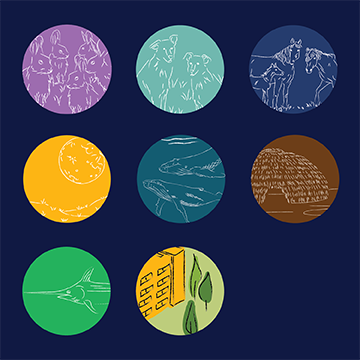 The exhibit, “yatspuktʔɨnɨsmuʔ — The Language of the Land,” is on display in the first-floor Community Gallery when the library is open (view library hours here). The interactive exhibit locates visitors in yatspu (the land) and yaktʔɨnɨsmuʔ (the language) of yak titʸu titʸu yak tiłhini, Northern Chumash Tribe of San Luis Obispo County and region. With the tribe, Cal Poly named its new residential complex yakʔitʸutʸu (our community) and its seven buildings after seven villages, sparking interest in the Chumash languages. Come learn more about the language and relations of yak titʸu titʸu yak tiłhini, starting with these seven locations. Find out where they are, what they mean, and how to say and write them. The exhibit was created through the work of the yak titʸu titʸu yak tiłhini language core group, University Housing, English Department faculty member Alicia Moretti, and alumna Anna Teiche, who graduated in June. 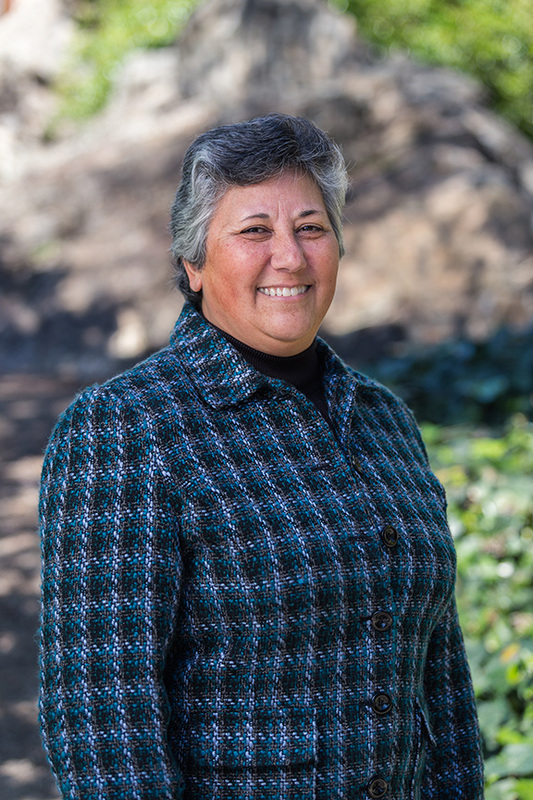 For more information about yakʔitʸutʸu, visit http://www.housing.calpoly.edu/ytt. Women’s Soccer vs. CSUN, Spanos Stadium, 7 p.m.
Women’s Volleyball vs. CSUN, Mott Athletics Center, 7 p.m.
Football vs. Montana, Spanos Stadium, 4:05 p.m.
Women’s Volleyball vs. Long Beach State, Mott Athletics Center, 7 p.m.
Women’s Soccer vs. UC Davis, Spanos Stadium, noon. Men’s Soccer vs. UC Santa Barbara, Spanos Stadium, 7 p.m.
#105033 — Associate Registrar (Administrator II), Academic Affairs — Office of the Registrar. Salary commensurate with background and experience of the individual selected. Open until filled. Review begins Oct. 16. #105036 — Senior Manager of Personnel (Administrator I), Academic Affairs — College of Engineering. Salary commensurate with background and experience of the individual selected. Open until filled. Review beginning Oct. 18. #105037 — Financial Analyst (Administrative Analyst/Specialist I), Administration and Finance — Budget and Finance. $3,288-$6,162 per month. (Anticipated salary range: $4,200-$5,000 per month.) Open until filled. Coordinator — Recreational Sports. Annual salary is $52,794 with excellent benefits. Position open until filled. Coordinator — Aquatics and Safety. Annual salary is $52,794 with excellent benefits. Position open until filled. Assistant Coordinator — Accounting, $22.50/hour with excellent benefits. Position open until filled. Teacher, $15.44/hour with excellent benefits. Position open until filled.